As people get more serious about soccer they shouldn't distance themselves from the grassroots level. Let's give you the punch line right now, as I see it, of course. 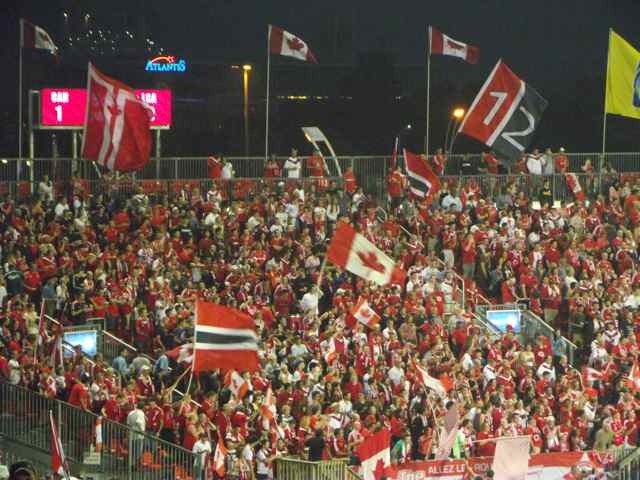 The mom and pop coaches are THE most important component in soccer's sustainability as an organized sport in Canada. You may hear the sentiment that parents should not be coaching their own children. Maybe so, but that's not a realistic scenario. so why go there? 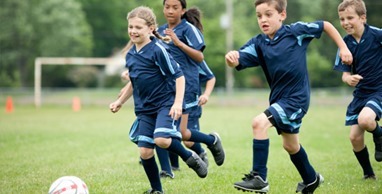 Before that age arrives, there is an army of soccer players out there looking to play. Kudos to the Ontario Soccer Association and other provincial federations for investing in and stressing grassroots soccer. 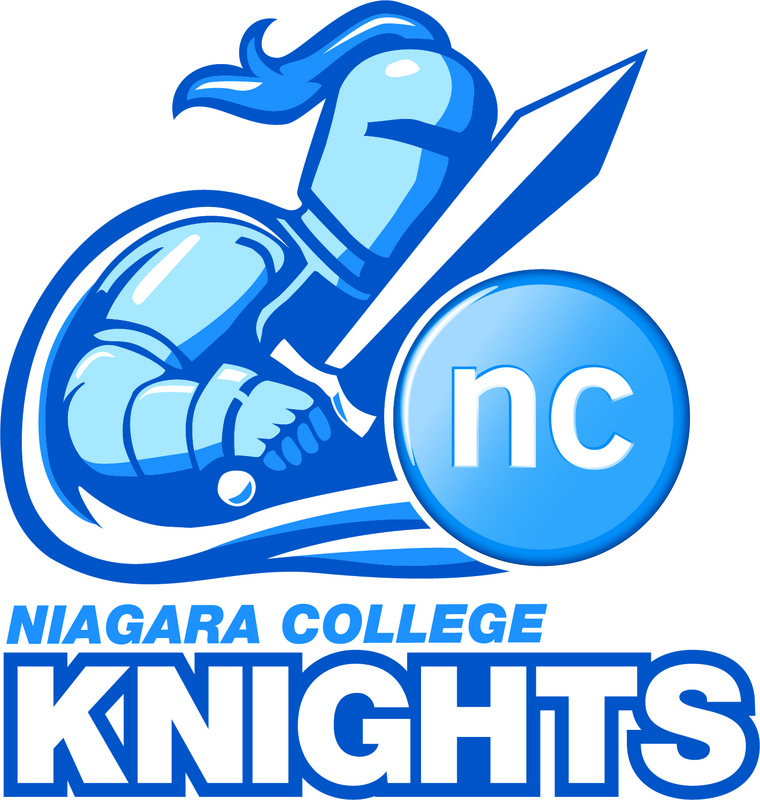 Season two for the Niagara College Men's Soccer team with this new coaching staff is now in the history books. This year we kicked off our program with a different mindset than last season. Being my second year as head coach, with assistant coaches and players returning, we were able to hit the ground running. One major difference from last year to this year ... I now coach both the men and women. There is one thing I really enjoy about this league. 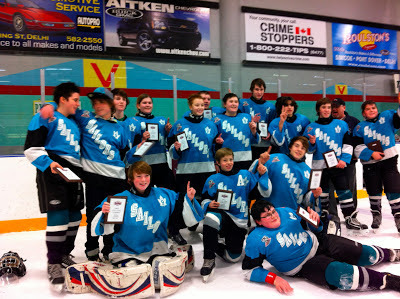 We are in the toughest division in Canada and you cannot afford to ease up at any time, in any game. That kind of pressure is exciting and keeps everybody on their toes. I've watched a lot of sports at various levels and I like to think I know which players are better than others. My main experiences have been with soccer, hockey and basketball. But over the last 3 years I've been introduced to and am enjoying field lacrosse. This past fall, my son was a member of the University of Guelph Lacrosse team and I watched them play at least ten games plus their tournament on the way to winning a National Championship. I used my old experiences to help me identify who the strong players were. I always observe a player's athleticism, speed, "smarts", durability and body language. But one thing I do appreciate about sports at a high level is how quickly the ball (or puck) moves. I asked my friend Joe Talarico to assign me four mini-games at the "Ti Amo Festival Cup" in St Catharines, hosted by St Catharines Roma Soccer Club. Reffing is a mild sideline of mine and I don't want to let that interest slip away. As a coach and coach educator, I wanted to spend some time in a festival environment and experience some of the sights and sounds for myself. I've watched festival games as an uncle or friend, but never officially participated in one involving "travel" teams in an environment that was previously "competitive". The challenge is simple. Keep the kids interested and busy for 90 minutes. Period. Ya, simple. People work hard to build titles, collect licenses and build a collection of shirts and jackets with the logos of higher level programs. I am one of those people with a lot of clothing of that nature. I enjoy the programs I work with and I am fortunate to have met the people I get to work with. We also hope the higher programs are a destination for younger players to aspire to play in one day. Delivering a U4 Active Start soccer session - anybody can do it. This just might be my most important and influential soccer work at the moment. Spreading the good word about Active Start makes people more comfortable with their entry into the soccer world and eases their initiation into the coaching world. When the CSA developed the Active Start session guidelines, I thought it was brilliant. The format is quite simple. Every child has a parent as a partner. There is one ball per child. You lead them through exercises and movements for roughly 45 minutes. Lots of high fives and cheering. Lots of drink breaks, smiles, laughing etc and you go home happy. Some coaches aren't buying the format. Some say it's not soccer. HEY. It's U4, it was NEVER soccer. EVER. This past Thursday (July 9) we had our third session of the Wizard Academy, our club's "development" program for our U7/U8 players. There is NO SURCHARGE by the Welland Soccer Club for this program and it is one of the coolest initiatives our Tech Director, Rob Lalama, has ever come up with. And Coach Rob is a cool guy. He was a drummer in a band and it can't get cooler than that, can it? The group (players and coaches) is nothing short of energizing, from the point of view of a facilitator. Planning and arriving to set up is fun, chatting it up with the boys as they stumble in. Soccer Training for U8 players is the beginning of where you can start to see kids become "players". Comfort with the ball and the confidence to experiment is our biggest priority with these boys. The second priority is working with the coaches to improve their delivery of sessions. This week we had 27 boys and 5 coaches. We had an extra helper in the form of a U12 girl, Coach Kennedy, who is also part of the district program. We split the boys into three groups of 9 and she evened out the small-sided-game station by making it 5v5. We started out by doing a "follow the leader" type of dribbling exercise, in groups of three, one ball per player. We then followed with 10 minutes of working on turns. Lots of touches. For the next part of the session, we set up three stations. The group rotated through the stations twice. Use turns if a change of direction is required and accelerate. COMPETE! Challenge to win the ball. Drive the goal to score. This station was delivered by Coach Marco and Coach Dave. Their observation was that about 1/2 of the players were getting the idea and executing the second time around. We will do this again. "Comfort with the ball and the confidence to experiment is our biggest priority with these boys." The program is voluntary and meant to give the boys more tools to enjoy the game. The next session will not have group activities to start. It made some of the kids who arrived late feel a bit alienated while we reorganized on the fly. 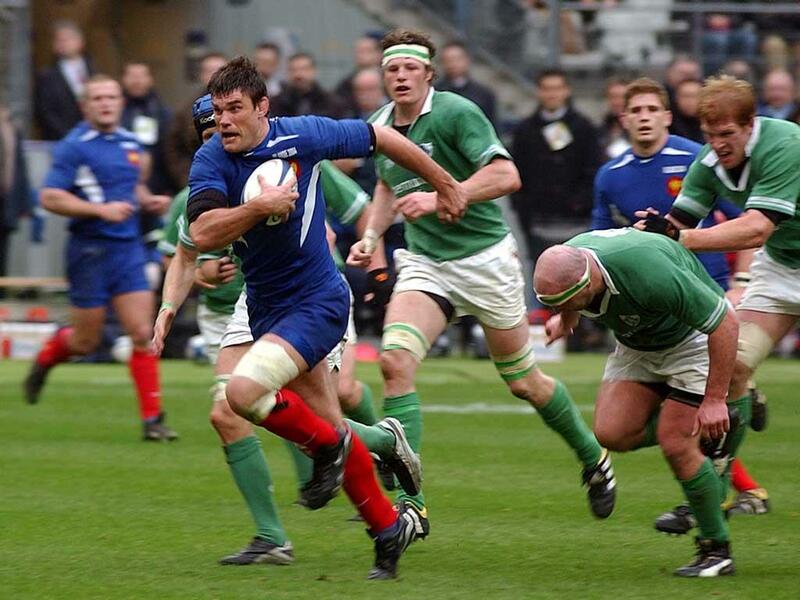 Running players through an exercise a second/third/fourth time gives them a chance to succeed and refine. We need to keep the water in a central location. Too many players running to mom and dad and taking too long to regroup. I let the U8 coaches do most/all of the coaching tonight. I was just moving around watching and injecting the occasional tidbit of information. That seemed to work well. The session content brought the learning out. I am trying to encourage the coaches to let the players settle their own disputes. Too often we want to control what's happening and they depend on us. I had the same experience at our club camp where everybody goes to the adult for the answer. Teachers tell me the school playground is the same scene, kids not working out their own issues. 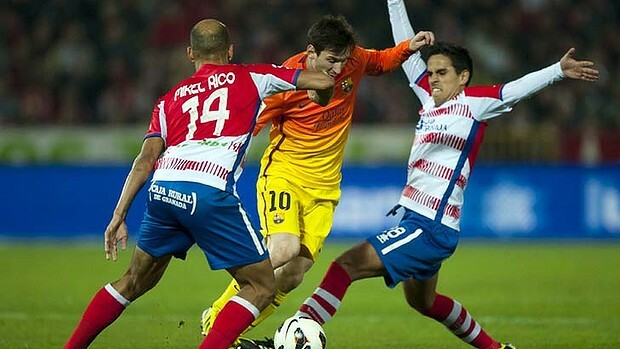 The issues I am speaking of include fouls, somebody staying in as GK, who put the ball out, etc. For the last 5 sessions I am going to have one coach at each station and one coach travel with each group. The coach with the group will co-coach each station. This way, each week, they get a chance to: (1) deliver one session multiple times to work on their delivery (2) see multiple exercises and be involved in delivering each one using the same group. Balls need to be inflated. I passed a few balls around so they could see the correct pressure. We have a pump onsite, but the balls arriving inflated makes everything easier. Kids were running out of water too early. Send more water. Reminder to wear white shirts. Easier to organize for games. Praise the boys and thanked them for their support. So far the support has been good and the players have been enthusiastic. We reconvene in July 25 for another 4 sessions. P.S. Coach Rob's brother, Mark Lalama, is a busy musician and is the former music director for Canadian Idol. His youngest brother, Paul, is lead singer in a local band called Jonesy. So, Rob is even cooler by association and genetics. His other brother, Dave, was a decent player and is now an architect in Winnipeg. I guess that's cool too .... I do know he doesn't return calls from Art Vandelay. When people hear the term "LTPD" they automatically think of no standings and no scores. That is a very minor component of LTPD. Long Term Player Development revolves around age appropriate programming, patience, training methodology and attitudes, coach and referee education, game format, etc, all focused on the player. This weekend I had direct interaction as a coach with six different teams. This is what you call a "busy weekend". And I still managed a 3rd birthday party (Thanks Patricia and John! ), some soccer club duties, work to prepare for the week and a chic-flick. I could have easily planned for each group, walked on the pitch and delivered decent sessions. By using LTPD as my guiding principle, all sessions involved age-appropriate activities consistent with their development stage characteristics. I am not the story here ... LTPD is. Let me explain. Will adult soccer help drive the game at the Grassroots level? Tonight I was an Assistant Referee for two women's game in St Catharines. During the one game I asked a player on the bench how many teams were in their league. She told me three tiered divisions of 9 teams each. 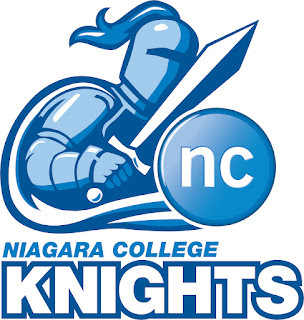 This is a Niagara based league. I told her when I started playing men's soccer in 1984, Welland had one team in each the Niagara Soccer League Premier and First Division. We now have 2 city-based men's leagues of 10 teams each, a Co-ed 9v9 program of 22 teams as well as teams in the NSL Premier, First and Second Division. This growth has happened in every city in Niagara. There wasn't a women's team in Welland for a long time. So what does this have to do with Grassroots football? You walk into any garage in Canada in you will find ice skates that fit everybody in the house, hockey sticks of all sizes and the occasional puck. Many families have a hockey net as well, standard issue red posts with white mesh. Do field conditions matter when developing soccer players? Artificial turf, the necessary evil. Before I get started, don't start talking about kids on the streets of Africa and South America. Our kids not playing street soccer is another issue. Once our players get to the point where it's time to move them forward, how important is a surface where the ball rolls true? We take our kids to Streetsville Memorial Park in Mississauga, Central Park in Burlington or Mohawk Park in Hamilton, and we expect a quality game? Never mind the game, what about training there? Ontario's bad field list is VERY long but it's also a victim of the significant growth in soccer. Poor fields and limited climate narrow the scope of our collective programs because of limitations on when you can train and where. The genius of LTPD ... easier and better coaching. I have a fear. My fear is that new coaches are nervous, but do not take advantage of the incredible information that's out there to help them calm down and deliver a quality program. LTPD has proven to be a very rare philosophy that is simultaneously easier to understand and provides better results. In this age of technology, we equate better with more complicated. Not always true. I can tell you, with modesty firmly in place, that I am confident that I can design and deliver a session for any team at any level, male or female. In fact, a lot of my friend are. But I find LTPD to be a very useful and valuable tool in my planning and delivery. My main justification for using LTPD? I have a lot of experience and formal coaching training. But LTPD was developed by people far more experienced and educated than me. 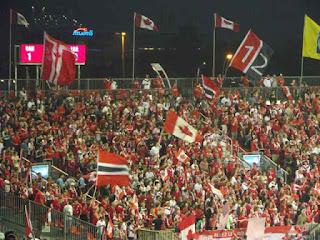 I would be a fool to not embrace it and appreciate and evaluate it's ability to improve soccer in Canada. Over time I may develop some opinions of it's effectiveness and contribute to its development, but for now I'm enjoying it. I've written session plans for some coaches and they literally ask "that's it?" My inspiration for this stems from the many conversations I have had with coaches who say they are not sure what to do at training, yet ignore the mountain of very focused information that has been printed, mailed, emailed, verbally conveyed and visually demonstrated to/for them. They want to do it "their way". That would be OK if they had a "way". One thing I learned as I progressed through the coaching ranks ... there is no glory in re-inventing the wheel. My reward comes in my delivery, rapport with players and ability to observe and correct (or cheer). What you get from LTPD. Better knowledge of characteristics of the player. With the help of LTPD info and info from courses, you have deeper insight into the player you are working with. Characteristics include physical, tactical, technical, mental, social, and psychological . If we know who we are working with, then we know what would be better and more appealing to them in terms of session content. LTPD information offers coaches more suggestions for session considerations. that still gives a player a mountain to conquer, but able to see successes along to way to build confidence. Knowing the LTPD information offered about the development stage you are coaching puts you in the right frame of mind to deliver the session effectively to the athlete you are working with. LTPD information gives coaches guidelines/suggestions for how much time to spend various areas of focus. You also have guidelines on the type of schedule you should keep and length of the program. And now, as the icing on the LTPD cake, Ontario Soccer has just released the Provincial Grassroots Curriculum , a quality document that comes to the aid of the entire soccer community. LTPD was developed by very experienced and educated coaches and educators. Why not put their own growing pains to work for you? "In this age of technology, we equate better with more complicated. Not always true." LTPD reminds you to consider developing a more player-centred session plan and tailor your delivery to maximize the time you spend with your players. Even if you are an academy coach or club technical director, you need to remember to reset your expectations and delivery from session to session if you work with different groups. The framework has also made it easier to train other coaches by keeping sessions simple and focused. You're nervous and have the same question as many other new coaches "What do I do during practice?". OK. Let's talk ..... you're coaching U8 girls .... you played soccer yourself up till U18 ... you are one girl's father and somebody else's mother is helping you ... she has no soccer experience but is very active ... you and your assistant refer to your LTPD information for "Learn to Train" development stage. Hmmm .... you now have an idea of what they are capable of, physically, mentally, socially, psychologically, etc ... you know a L2T session suggests 15% warm-up, 50% small sided games, 30% soccer technique and 5% cool down. Your assistant leads them through a dynamic warm-up and you transition that into a few warm-up exercises with the ball. You get them into a small sided game, after letting them play, you add a condition where they must pass the ball 3x before scoring. You stop the game and have them play 4v1, 4v2, 5v2, etc keepaway within a grid. You give them ideas that you are comfortable giving, but let them solve the problem before them. You and your partner have a group each and you switch so you can both see them all. You get them back into a game and see if they are able to keep possession a bit better. Yes? Great. No? Maybe reintroduce your game condition of 3 passes or back into the keep-away for a bit and mix up the groups, then back to the game. After wrapping that up, your partner leads them through a cool down. "LTPD was developed by people far more experienced and educated than me." The LTPD info (available at NO CHARGE) laid out the warm-up, game, technique and cool down scenario. You used the curriculum and Internet to find some ideas for each section. Your practice is done. Your girls played a lot of soccer, had some problems to solve on the field and maybe even squirted you with their water bottle. You, my friend, just delivered a very decent session. More experience will help you offer more information and be more comfortable in your delivery. Using LTPD's information relieved you of some of the stress surrounding the content of your session. If I brought my young son to a session and you delivered the content I just presented, I would be happy. And they got to play so, more importantly, my son was able to play some soccer. This is the genius of LTPD that some people are not open to seeing. Your sessions are easier to deliver, yet content of the session will contribute more to your players' development. I've written session plans for some coaches and they literally ask "that's it?". Yes. That's it. I think they're disappointed because they're expecting a 1000 cones and 40 drills. Simply put, coaching in accordance with LTPD works. If you have more questions, consult your club's technical director or any friends that you have who are more experienced coaches. U8 Boys Grassroots soccer - Week 2 - Rain stayed away! This week we continued our club's U8 program. Last week we had 44 players and today I was expecting 60. I plan for 10 and am ready for 90. It rained most of the day here and I guess people assumed we were cancelled. We ended up with 18 players. For the record ... it didn't rain at all during the session. Please know that almost all of my sessions this year have been structured using LTPD as a guideline. Even as an experienced coach, LTPD's structure makes a session even better and puts you in the right frame of mind. I arrived early and set up 3 of the stations I had planned. When I saw the number we had, I just decided to run the entire session as a group. The plan was to run 4-6 stations depending on numbers. Before I get into the session I will declare, with great enthusiasm, that I was VERY happy with how our session went. Helping tonight were Coach Melissa (U8 convenor), Coach Scott and Coach Mirko. "All were able to execute at 1v1 but not all during 4v4. Does that not oblige us to show more patience?" My goal for the session was over-exposure to the ball and manipulating it in different situations. One ball per 1/2 players at each station was important. 4 mini fields with 4x8 goals. Is there a place for you under LTPD? With all the new documentation being released and information sessions being delivered across the province, it's plain to see LTPD is here in full force, everywhere. But where does that leave everybody? There is a feeling among some people that LTPD is for the "experts" to deliver and everybody else to sit back and enjoy. Ummmm .... I don't think that's correct. In fact, I know it's not correct. The first thing you need to remember is that you don't have to be an experienced athlete to positively contribute to a soccer club. With LTPD soccer will need even more people. "I am a soccer player". All the ID a youth player needs. During our FIFA Grassroots course, two grade 5 classes came from local schools on the Friday to play in 4 rotating small-sided-games. There was one child who had some solid skills. I ask him if he played soccer and he said "yes". I asked which club and he said "No club, I play at school". I am guessing he meant at recess, lunch, before and after school, gym, etc. Is he still a soccer player? He sure is. He is as much a soccer player as Lionel Messi and Dwayne DeRosario. Moving forward, what is written here applies to EVERY sport. I hope you agree. Delivering my nephew's U11 session. Walking the fields (with my dog) watching the U8 boys house league players who come to our Thursday sessions. Delivering my son's U18 session. Watching my son's U14 friendly. Watching a U10 girls session (and stepping in briefly). My Utopia: Mass particpation and no cuts before U12. Grassroots sports. I started writing this article in April 2013. I kept rewording and reworking it so I didn't sound like a man gone mad. I even had some honest friends read it over and they liked it, but I was still unsure to hit the "publish " button. This past week (June 12-15) I attended the FIFA Grassroots course and confirmed that I wasn't crazy after all. So here it is (as written on April 24, 2013). I haven't touched it since then other than to add 2 pictures and the notes at the beginning and end. Don't call the psych hospital. I've put a lot of time into formulating my opinion of how sports should/could be handled from U12 and younger. And not having a team this season gives me more time to observe and refine my thoughts. "Countless kids playing a lot of games." I haven't lost my mind in a "Jerry Maguire" sort of way. Ontario's adoption of LTPD, personal research, recent personal and educational experiences and good old fashioned "listening" moves me in this direction. On first glance you might think I've lost my desire to compete and win. This is not about "not winning". This is ALL ABOUT WINNING. But winning when it counts. And the more kids you take on the ride (of all levels), the more that will gain confidence, the more will be able to compete for higher spots at U13 or keep playing and stay active. It's also about giving as many kids the environment to develop their agility, balance and control and the ability to adopt another sport of their choosing later in life. Even if they are not "good" at the sport they choose, the system needs to be a champion for these kids. Sports for U12 and below, all sports. Lower to no cost. Get in as many kids as possible. General athletics/activities for ALL children U3/U4/U5. 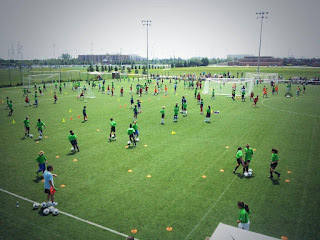 Proper and appropriate training and playing environments for players in the sports of their choice U6-U12. Full manuals for ALL coaches, written by the best coaches in co-operation with educators, at every age providing full season, age appropriate program plans. Money or skill level never a barrier for entering the sport of their choice at the grassroots ages. All sports are all inclusive. In-person exposure to major or minor league professional games. Additional exposure for players who show interest, but all participate at set minimum levels. Equipment for tether-ball, small sided "street" soccer, lower basketball nets, "foot hockey" nets, game markings all over the play ground and outside of gym walls at ALL elementary schools. Daily, full period of phys-ed up to Grade 6 (minimum). Schools must be an active part of the community sports system. Potentially better grades in school through physically stimulated bodies. Read here and the bazillion other reports that back this claim. Better and more confident athletes through constant exposure to various movements and sequences. We don't tell a young kid in development that they aren't good enough. We keep them involved and keep alive the chance of something clicking at some point. At the very least they'll want to keep playing the sport into adulthood. Keep late bloomers in the loop so they don't quit at U9/U10 for being too small, increasing retention for your sport/club and talent pool at 13. Better, more confident coaches coming through GrassRoots stages. Losing kids too early to low confidence. Not enough exposure to athletic movements and problem solving. On average, young Canadians not active enough. Late bloomers being relegated too early to non-participation at high levels. Potentially the wrong kids are playing at the U13 high levels because the wrong kids were picked at U8. Fewer kids competing for Elite spots at older ages. Players are technically proficient but not overall good/smart athletes. Possible standouts are excluded because of money issues earlier in life. Fewer kids playing past U13 at clubs = less revenue. Fewer families (= Voters) involved means less pressure on local government to maintain/build facilities. Fewer children playing now means fewer adults playing in the future. At the very least we should/could/would end up with healthier, more energetic kids who, on average, might have higher grades. Activities must include situations where even the least athletic kids can achieve some level of success in the use of their bodies. "Even if they are not "good" at the sport they choose, the system needs to be a champion for these kids." Am I looking for more coaching and structure? No, this idea would have much less control than we have today. We need some good, old fashioned "play time" and problem solving. More street hockey, playground baseball and small sided soccer games. Every physical literacy research paper backs this up. Putting the environment in front of them and giving them the time to play is the key. Think about it. There will be a cost, but how much? How much does it cost to let kids play? Some schools do need to update their playgrounds for games. School is where they have no xBox or online games. We use phys-ed for physical literacy and exposure to games, and recess for free play time. Sports clubs get them into the habit of structured teams and planned sports outside of school hours. Parents start to build better networks in less stressful environments. Sometimes when you talk to people about this you look at you like you've lost your mind. Maybe I have. But I am not alone. If you read various reports on player development, where good players came from and physical development of children, they all point in this general direction. I'm not crazy. Well, not 100%. This thinking has been brewing in me for years. It started during my first coaching course (1988) when our instructor said if it was up to him we would have no travel soccer until U12. I've watched kids play pickup soccer in Mexico, Switzerland, Holland and Italy, pickup basketball all over and God only knows how many street and frozen pond hockey games. It picked up speed when my son went to Ridley College for Grade 5 and 6 back in 2005-2006. All students played something every semester. If you were not able to stick with a team, you played intramural sports at a level that was suitable for you. It may have been intense, it may have been casual. 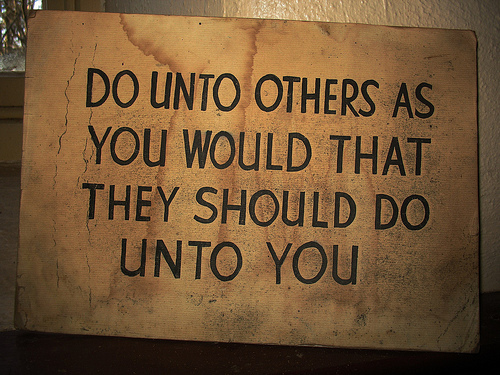 But it was physical, daily and mandatory. EVERYBODY. EVERYDAY. Nobody died as a result. The Ontario Soccer Association has seen the importance in this and hired a full time person to specifically lead Grassroots soccer, Manager of Grassroots Development. Countless kids playing a lot of games. Some kids will scrape a knee or receive an accidental black eye. They'll be fine. And they'll be good. P.S. Added June 18, 2013. During our FIFA Grassroots course we ran 2 mini festival type of sets for kids during their school day. On Saturday we ran a festival for 280 children on one field (see picture below). Very little coaching. Activities and small sided games. The kids loved it, the parents were ecstatic and it was a lot of fun. 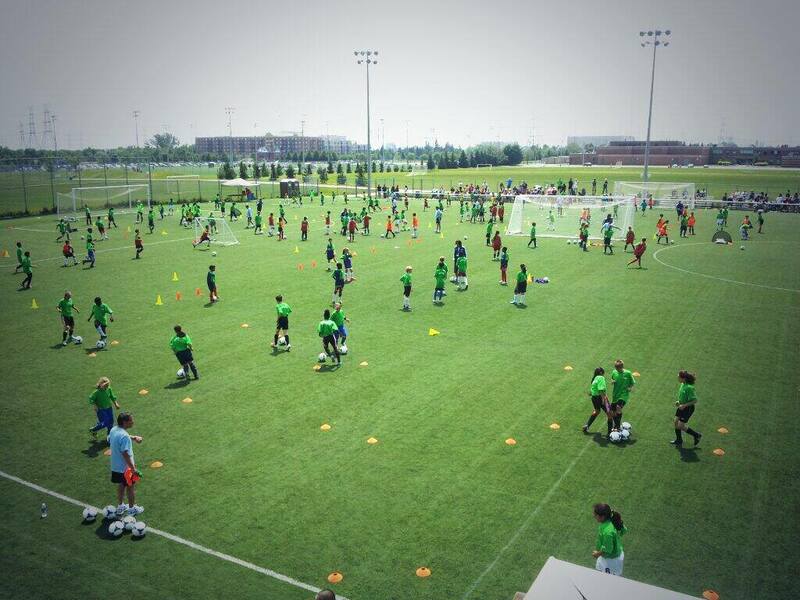 280 kids with a ball on their foot is never a bad thing. P.P.S Added August 2013. The OSA released a Grassroots Curriculum that can be downloaded and shared. It's a very good document. 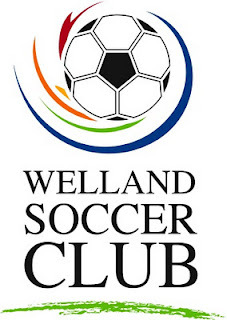 Every year, the Welland Soccer Club hosts what they call the "Wizard Academy". Traditionally, it was for players in U8 starting to be identified for U9 travel. I was never participated in this program until this year. A lot of these kids have never had a real "training session" of any kind. Learning to listen, adhere to safety rules and get organized are probably more important than the soccer itself for the first couple of sessions. My main goal of the session was diagnostic; to get an idea of what we were working with. I liked what I saw and enjoyed the group. I had a few of them in last year's WSC summer camp. When I am speaking, I don't want to hear anybody else and I want to see your eyes..
We do not kick balls into crowds. Welland U18 Boys. Introduction to adult soccer; learning the hard way. This past weekend we were in Erie, PA for a tournament with our 1995 boys. The age classification was U18/U19, so there were many players born in 1993 already playing college/university soccer on the field. I help with this team at training on occasion, but they have a head coach and long time assistant. My middle son plays here. Our boys are in Grade 12 and will be off to school in the fall. Some are interested in trying out for their new schools while others want to play in competitive men's leagues. The jump in speed, technical demands and physical play are noticeable and, for some, extremely intimidating. This weekend our team was thrown into the firepit, covered in oil and cooked until well-done. 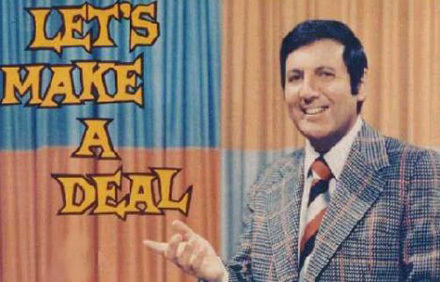 The danger of "The Deal" when a new soccer player recruits you. Winning is not a crime. Wanting to win is not a crime. Recruiting is not a crime. As a parent, wanting a better place for your child to play is not a crime. Wanting to find another place to coach is not a crime. Let's all understand those points. Good people have good reasons for a change. Maybe enjoying soccer as a parent is not that complicated. Yesterday was a day I was dreading for a while. Watching my old team play. I coached Welland 1999 boys for 3 seasons (U11/U12/U13). For various reasons, I did not return to coach, but my son is still playing. Yesterday was their first competition. I only saw tryouts in small chunks, but I did deliver two sessions for Coach John over the past 6 weeks. Yesterday did not go how I thought it would. I was thinking I would over-analyze everything, being frustrated, yelling instructions and seeing how the old players are doing and how the new players fit in, etc etc etc. Instead, I watched from the sideline, had a blast with the other parents and enjoyed watching my son play without his father on the bench. Chomping on my sunflower seeds, drinking my Timmy's (Green tea, black, bag out, in case it's your round...) being a wise-guy and cheering. That was me. The level of the games was "OK" at best, but they were all exciting. The first game they drew 1-1 with a team that beat them 6-0 last week in a friendly. Then they lost 3-2 in a tight game and lost the last game in penalty kicks after an exciting 2-2 draw. They played with a lot of confidence and intensity. "Chomping on my sunflower seeds, drinking my Timmy's, being a wise-guy and cheering. I have been just as relaxed watching my other son's senior high school games. I could write a 200 page technical report on both teams (good, bad and ugly), but in this case, it's more fun and very easy to just watch and enjoy. I don't think my wife and I discussed the games at all on the way home. Enjoying myself is not only good for me, it's being fair to my children and their coaches. Their coaches know that other parents ask me questions all the time, but I never engage in that kind of talk. I still coach a lot and do so with 110% of everything I have, but I intend to enjoy watching when my job is a parent. If the game is not enjoyable at U14, they will walk away and do something else. I intend to contribute to that enjoyment as much as I can. I am proud of this program. There have been 2 teams since U9 and both teams are still full. 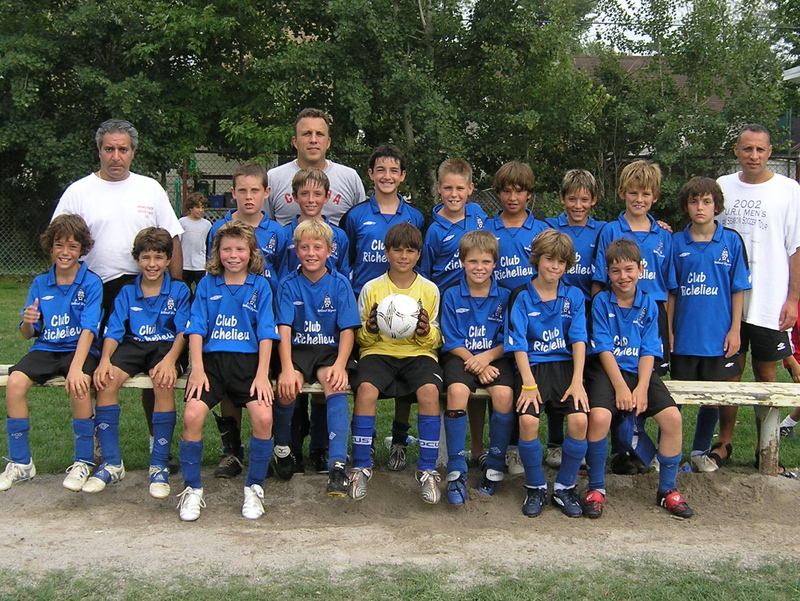 Some players have come, left and returned and many have been there since U9. Neither team is exceptionally strong, but some so called "power houses" have imploded around us over the years. I hope the program stays strong until U18. 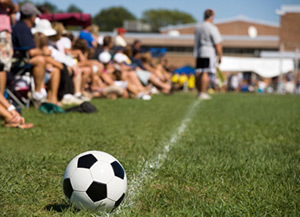 Do policies help you do your job as a soccer coach? In 2009, my oldest son's Bantam house league hockey coach announced to anybody who bothered to listen "5 on 5, power play and penalty kills, no matter the situation, the next guy at the door goes on". With that statement, he pretty much killed any and all questions from wannabe coaches in the stands who wanted to talk about why we lost or what could be better. In February, one dad said to him "Some teams put their better players on the power play" and he replied, politely "Good for them". As a coach, you are called upon to make decisions over and over. As a club coach your attention is required everywhere, from team party to hotel arrangements. Here is where the idea of policies comes into play. A policy is a principle or rule to guide decisions and achieve rational outcomes. A policy is a statement of intent, and is implemented as a procedure or protocol. Policies can assist in both subjective and objective decision making. "Will your policy make coaching more enjoyable for you and the team more enjoyable for the players? If the answer is no, stop right there." During my time as an elected Councillor in Welland and Niagara, I learned that policies relieve staff of having to make ad-hoc decisions over and over, with the possibility of being inconsistent. In most club team situations, policies come from the National/Provincial level, District, Club and team. Should you have some policies in place when you coach? Are they helpful? Well, let's suppose you are a technical director at a medium size clubs, roughly 15 travel teams. How difficult is it for the club to be accountable for 15 coaches who all run their teams differently? For you as a coach, I am not talking about a 400 page manual to distribute to parents. I am talking about guidelines that help settle situations/questions before they become issues. The players do not need to know about all of your policies regarding team operation. "Having things in place through team and club policies and addressing topics at your parent meeting makes life a lot easier down the road." If you are part of a club's governance, how easy is it for your club staff if they have answers for members regarding issues like payment plans for registration, refunds, etc. But let's think of this as coaches. What are the questions you keep dealing with over and over? How do we pay for tournaments? How do you handle releases? What is the minimum number of tryouts a player has before judgement? How do we pick jersey numbers? How do you handle playing time? My child is going to be late again. Can you stay late until I pick up my child? Can he wear his favourite green shorts to game? We don't go to away games. When can I talk to you about my child, in private? Can I set up a fundraiser for the team? Why are we staying at that hotel? Who picks the hotel? How are team parties handled? The team money is held in a double-signature bank account, by 2 parents who are not married to each other or one of the coaches, at a bank not used by one of the co-signers. I do this for accountability. Cash is not accountable or traceable. The choice is bank is to avoid the team account being raided in the event one of the signers has overdraft issues with their accounts. No cash. Everything is done by cheque. Player selections are done via posted list on Internet. Two parents in charge of setting up bench area for games. No fundraisers without the coaches' direct involvement. Absolutely no social media postings about the team, good or bad. No positional requests or conversations about tactics. We publicly go by the name of the sponsor that was registering via club procedures, not a private donor. Coach does not drive players to tournaments (we have enough to do once there). Coach does not handle club administration issues for parents. Coach is off limits 15 before and 5 minutes after training. These are a few ... but in each case I did them to make my job easier and keep things consistent. The last thing I want to hear is that I decided something one way for one person and another way for somebody else. Much of the policy concerns non-soccer matters. Will your policy make coaching more enjoyable for you and the team more enjoyable for the players? If the answer is no, stop right there. 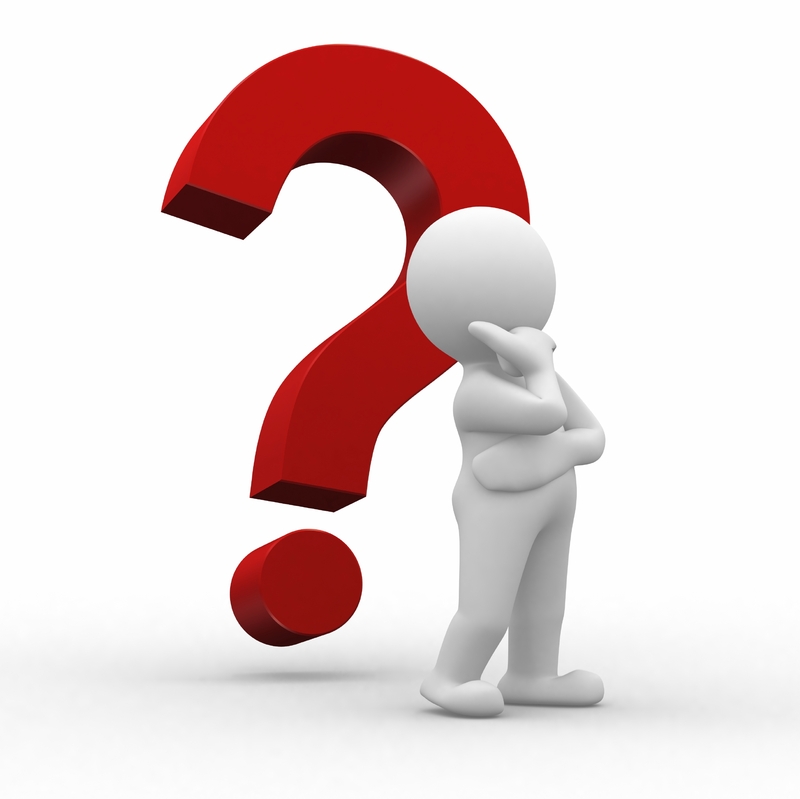 Is there a persistent and repeating issue that leaves you in a position for making quick decisions? Who is being directly and indirectly effected by the issue? What have been the fairest results of the decisions you made in the past? Who is available to review any rough drafts of policies or rules you are considering? When do you want the policy to take effect? Is your new policy in contravention of any club bylaw? When are you going to review the policy and make adjustments if necessary? Are you willing to drop your policy at a later date if you see it's not necessary? Is your potential policy consistent with your philosophy? If you are not comfortable with what you are proposing, don't do it. Nobody can fake it for very long. My experiences are most coaches make rules about attendance, punctuality and playing time that they don't really believe in. Am I trying to complicate coaching? No, quite the opposite. Having things in place through personal and club policies and addressing topics at your parent meeting makes life a lot easier down the road. You also want to prevent the possiblilty of being seen as bending to everybody's request and making one-off decisions over and over. Before addressing this topic, ensure that you check all of your club policies first. 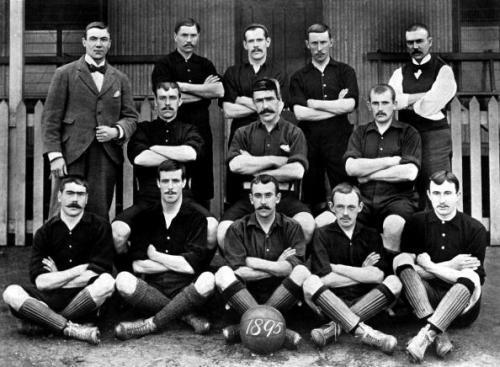 You don't want to reinvent or contradict any of the work already done by the club. If you have policies that work, share them with other coaches or your club. If you see other coaches' and clubs' policies that you like, retool them for your own use and share. Please keep this one thought in mind; if you do establish any ground rules for the operation of a team, ensure every idea is geared towards providing a better program for the players. If the sole purpose is to establish your authority, your enjoyment and time with that team will be short lived. Now that you're finished thinking like a politician, go coach!